Item 1. General Conditions section requires the bicycle signal face be “not in conflict with any simultaneous motor vehicle movement at the signalized intersection, including right (or left) turns on red”. This shall statement requires a No Turn On Red without consideration of the intensity or volume of the conflict. In general, this will reduce their acceptance. Item 2 Meaning of Bicycle Signal Indications identifies flashing Green as an option, that’s not used in any other location in the MUTCD. Item 3c describes what a GREEN BICYCLE means, but there was some differences in interpretation whether this suggested that it was “Protected Only”. This section also repeats the No Turn on Red restrictions. Item 4c.vi. Requires the signal heads to be separated by at least 3 feet. This would invalidate many of the installations in NYC, Chicago, and Long Beach. Items 5.c.i. and 5.c.ii. suggests that arrows be used as a part of the bicycle signal to accomplish “turn prohibitions”. Item 7. Regulator Signing requires a Bicycle SIGNAL sign “shall be installed immediately adjacent to every bicycle signal face that is intended to control only bicyclists”. This is problematic with a 4” nearside signal which is allowed. Item 8a. 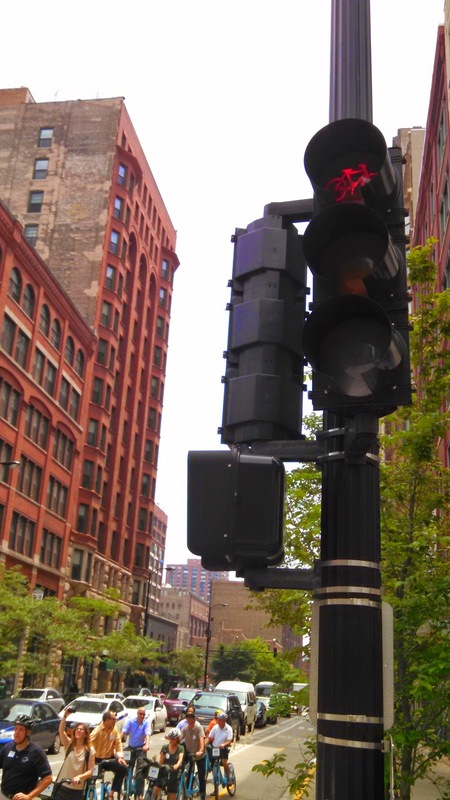 Pedestrian Hybrid Beacons: restricts the use of a bicycle signal face. Item 8c. Exclusive Bicycle Phases that permit “Scramble” Phases is written in such a way that suggests that a diagonal crossing of two approaches (multi-purpose trail as an example) shall not be used. a two way cycletrack on Dearborn. In the discussions with FHWA staff it seemed that a clarification related to 1, 2, 3, and 5 would be extremely helpful. Item 4 seems overly restrictive given the ability to limit visibility and the success of the communities mentioned with their applications of adjacent signal heads. Item 6 could be clarified for the signals that are adjacent to the vehicle indications. The language in the next edition of the MUTCD was discussed as having the “shall not” be changed to should (with pedestrian hybrid beacons). Item 8 was simply restricting the display of green from all approaches at an intersection for bicycle movements. Part of my role as a APBP voting member is to provide guidance to the National Committee on the topic. In Portland, we have several bicycle signals and we're sorting through the various issues and editing the MUTCD to include the language that allows for bicycle signals. There is strong support from the FHWA, starting from the Administrator, to make this happen. 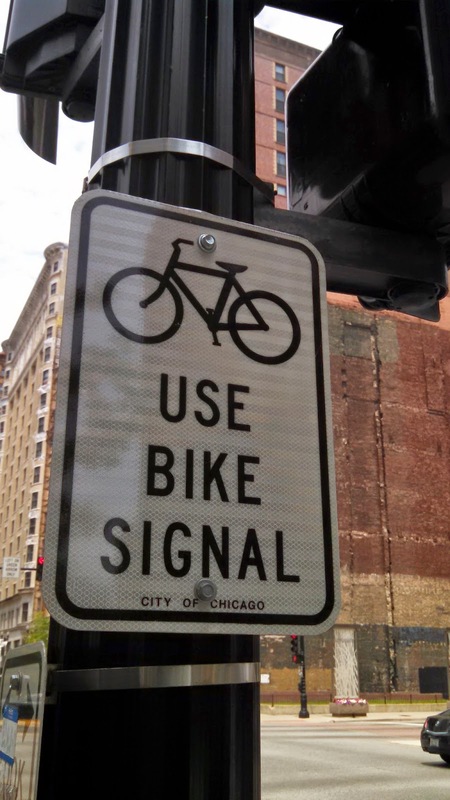 Bicycle signals are certainly a device in the toolbox that can be used to effectively improve safety of the transportation network.